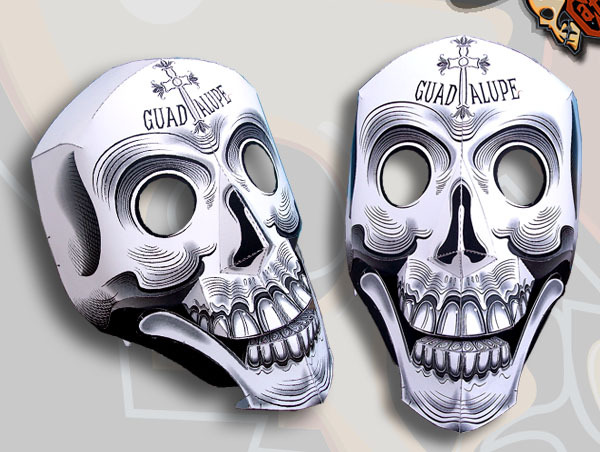 This is a paper Mask is inspired in the so many catrinas that have existed in Mexico from ancient times to honor the dead and to mock of the so feared death, madam that roams the land picking up the souls without previous warning. The model can move the jaw for displaying it or you can use it and move the jaw yourself with a help of a little piece of tape to add the jaw to yours. The name is editable, so you can write yours or your friends name. 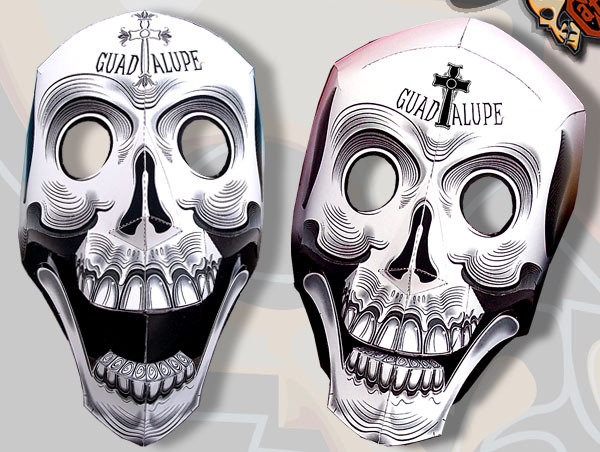 This Mask comes in a PDF file with instructions and patterns. The difficulty level is medium, especially in the form of the face and head mechanism. The size is 35 cms aprox long, and 22 cms wide aprox. Print, cut, fold and glue! your own Skull Catrina Mask with your name on it!. Catrina with editable name paper model by Arturo Palacios is licensed under a Creative Commons Attribution-NonCommercial-NoDerivatives 4.0 International License.